As I sat on the Business Class seat on our China Airlines flight to Taipei, I knew we were in for a grand tour. I was looking forward to exploring Taipei in style. 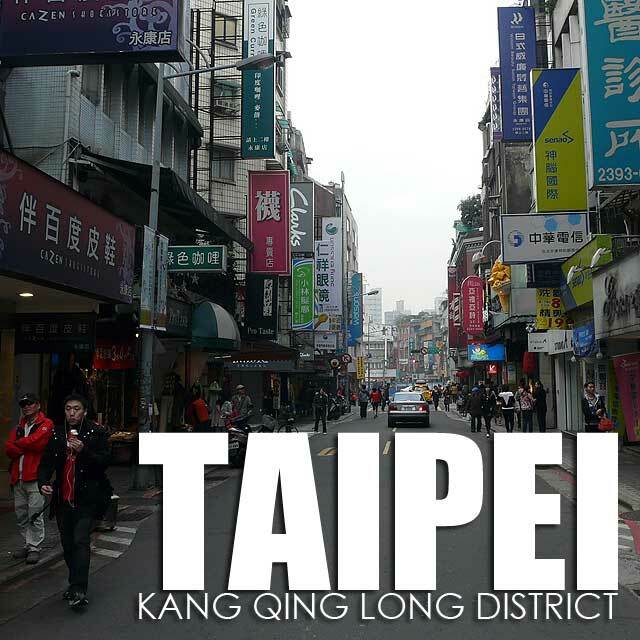 And I was not disappointed since we got to experience some of the best cuisine, destinations and activities in Taipei. 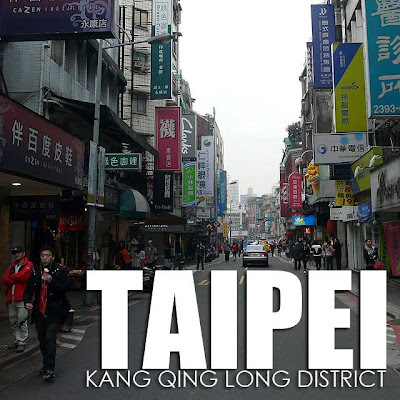 Straight from the Taoyuan International Airport, we proceeded to the Kang Qing Long District in central Taipei. 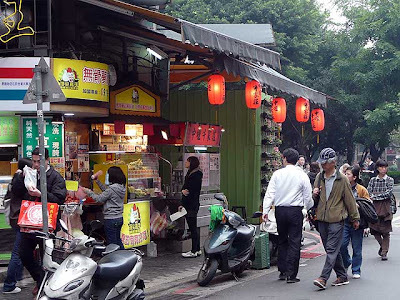 This cultural district gets its name from three streets located in the area namely Yong Kang, Qing Tian and Long Quan Streets. Kang Qing Long had once served as a residential area for senior civil officials from Japan before the Taiwan Restoration. 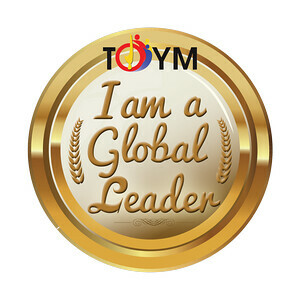 Today, it has a very youthful and academic vibe owing to the fact that the district hosts several colleges and universities that include the National Taiwan University, Taiwan Normal University, Chengchi University and Tamkang University. Add that the Da-an Forest Park, said to be the lungs of Taipei, borders the district on the east. 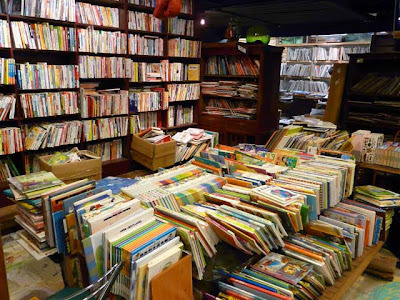 What makes the area worth visiting are the many interesting establishments there that include coffee shops and tea houses, independent bookstores, restaurants and antique stores that are said to have operated for decades. 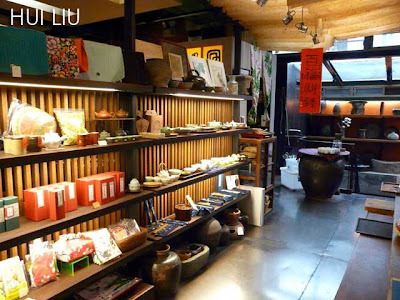 In fact, our first order of business was high tea at a very popular tea shop called Hui Liu. Located in one corner of Yongkang Park, Hui Liu is a tea house and vegetarian restaurant where people can escape from the chaos of city life. Interestingly, you'd most probably see a tall American man moving about the shop like a busy bee making his was from the kitchen to the dining area and back. He is Evan Shaw, who together with his wife Hu Hsiao-chen, owns Hiu Liu. As we were seated, Shaw brings out some tea and personally serves it on our table. He told us that it was Tie Guanyin 鐵觀音 or literally Iron Goddess of Mercy, which is a premium variety of Chinese oolong tea associated with Fujian province but also produced in Nantou, Taiwan. Over cups of Tie Guanyin, Shaw recounts how he settled in Taiwan and opened the shop. The first time he came to Taiwan was in 1975. He used to come back and forth to Taiwan until he met his wife. "In those days," Shaw jokingly shares, "Taipei was even noisier than now." So they wanted to create a place where you could escape from the "noisy big city." Shaw shares, "We didn't want to serve coffee since coffee is for fast things. So we thought Chinese tea. It takes time to drink and to enjoy. And you can go on all day long drinking one cup after another. So we thought we would serve tea and some small snacks. But after drinking tea, people get hungry. So we had to turn ourselves into a restaurant, to a kind of tea cafe. And we are vegetarians. 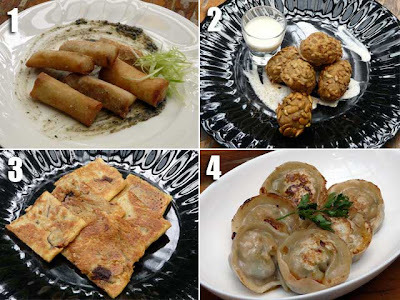 So we gave vegetarian food." On tea, Shaw tells us, "It's a simple beverage. It's just some leaf in the water. But it's also very elegant. If you see people making tea in a formal way, it's extremely elegant and very beautiful to watch. And it's something you can study and practice just like you learn any kind of art." The snacks came out one by one. Most of the dishes he served were actually not on the menu. so it was quite a challenge asking him the names of the dishes that were served to us. First to arrive were (1) Fried Spring Roll with Peanut Tofu. Then came in (2) Purple Yam and Peanut Croquettes with Sunflower Seeds served with cream. Then came in (3) Chinese Pancakes with what seemed to be red mung bean paste inside. The last dish was (4) Fried Vegetable Dumplings. 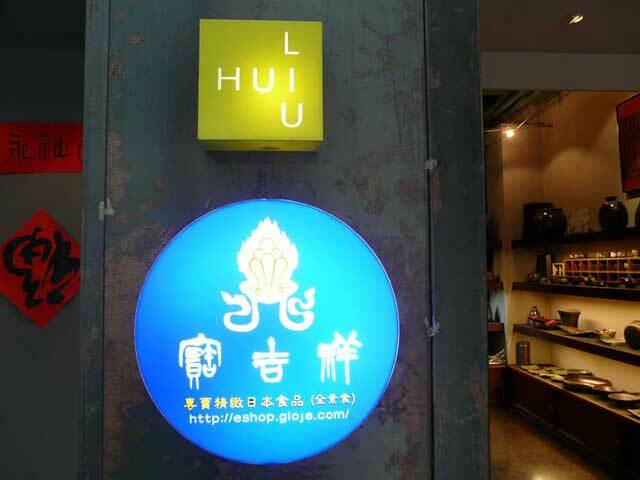 Hiu Liu is also a store. Aside from tea, displayed on the shelves are special ceramic bowls, cups and pots made by Evan Shaw himself. We walked through Yong Kang Street again on the way back to our bus. I immediately noticed the abundance of hawker stalls along the road. And it was so tempting to try out every single one. 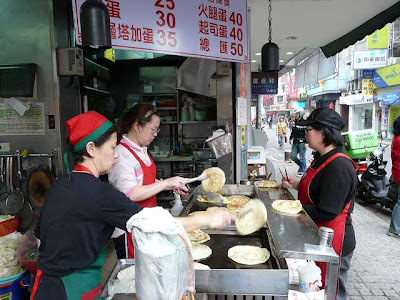 I noticed one selling flour pancakes similar to the roti canai in Malaysia. So I tried that one out and it was quite good. Since the area has a strong academic atmosphere, we were showed one of the used book stores in the basement of one of the buildings. 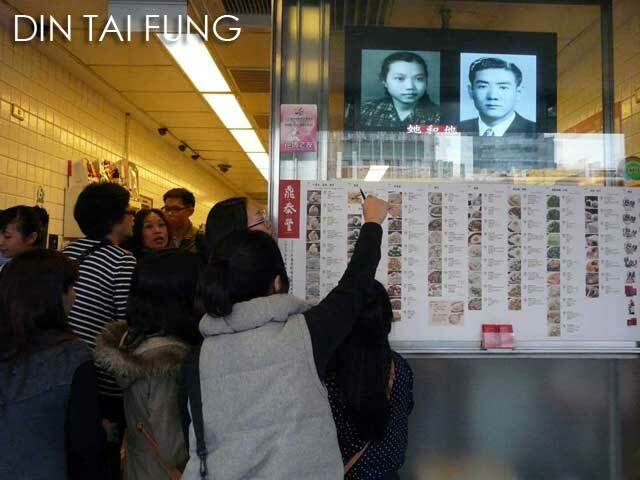 The group had one last stop in Kang Qing Long before proceeding to the Howard Plaza Hotel to check-in. And that was the Formosa Vintage Museum, a collection of cultural and historical relics that feature Taiwan's past covering various periods in Taiwan's history from the Dutch, Ming-Zheng, Ching, Japanese and ROC years. The museum was founded by Dr. Lin Yu-fang in memory of his parents. Although a medical doctor, Dr. Lin has dedicated much of his time to collecting these cultural and historical relics of Taiwan. 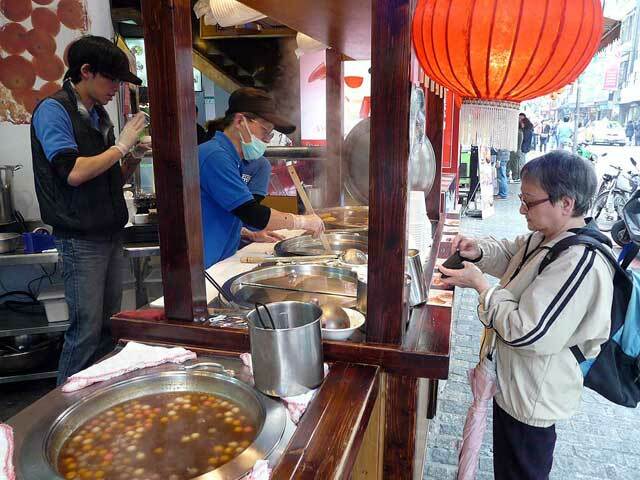 On the way back to the bus, our guide pointed to a small dumpling shop with a queue in front. It turns out this was original store of the famous Din Tai Fung on Xinyi Road. We were going to have dinner in another branch later that night. More photos of day 1 in Ivan About Town FB page.